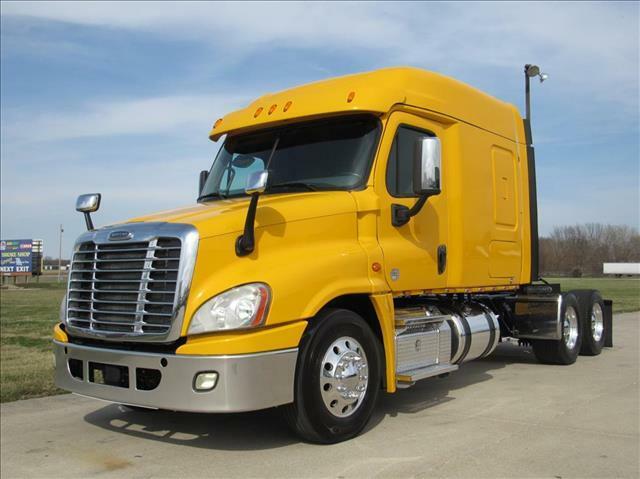 Light Weight+Fuel Efficient=$$$ This beautiful owner operator Cascadia is ready to work! Fuel efficient Detroit DD13 paired with the Eaton 10 spd automatic, makes this truck pass the fuel islands! Equipped with Disc brakes, New virgin SS Tires, 60" Midroof XT sleeper help this truck get a SCALE WEIGHT 17,400 with fuel! Call today to ask about road side assistance, extended warranties, financing options and insurance!! DO NOT WAIT! !